Raised pattern provides advanced slip resistance. 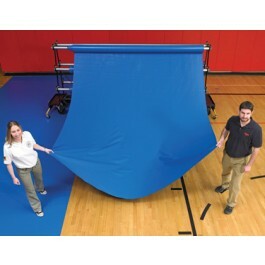 Protect your gym floor with our 32oz heavy-duty GymGuard Plus floor cover. Sold by the square foot. Add years to the life of your gym floor! Durable gym floor cover protection PLUS a unique raised pattern provides more than 2 times the slip resistance* of standard GymGuard surfaces. Advanced slip resistance = enhanced level of safety. Available in: Tan and dark gray. 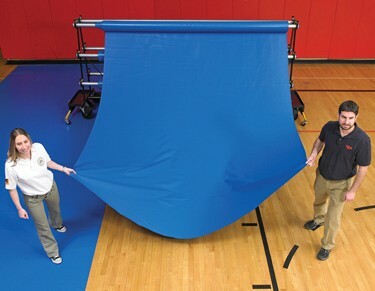 *GymGuard floor covers are sold by the square foot. Please indicate the number of feet you need in the Quantity "Qty" box.